Truer words were never spoken, although if you updated Keynes today, the quote would begin with “practical women” to take account of Fed Chair Janet Yellen. The “defunct economist” in question would be William Phillips, inventor of the Phillips curve, who died in 1975. In its simplest form, the Phillips curve is a single-equation model that describes an inverse relationship between inflation and unemployment. As unemployment declines, inflation goes up, and vice versa. The equation was put forward in an academic paper in 1958 and was considered a useful guide to policy in the 1960s and early 1970s. By the mid-1970s the Phillips curve broke down. The U.S. had high unemployment and high inflation at the same time, something called “stagflation.” Milton Friedman advanced the idea that the Phillips curve could only be valid in the short run because inflation in the long run is always determined by money supply. Economists began to tweak the original equation to add factors — some of which were not empirical at all but model-based. It became a mess of models based on models, none of which bore any particular relationship to reality. By the early 1980s, the Phillips curve was no longer taken seriously even by academics and seemed buried once and for all. RIP. But like a zombie from The Walking Dead, the Phillips curve came baaaack! And the person who has done the most to revive it was none other than Janet Yellen, the 70-year-old liberal labor economist who also happens to be the outgoing chair of the Federal Reserve. Janet Yellen is out at the Fed. Her term ends on Feb. 1. Then Trump’s appointee, Jerome Powell, takes over. He must first be confirmed by the Senate, but I suspect he’ll make it through with no problem. I recently said Powell’s main qualification seems to be that he’s just like Yellen except he’s a Republican. 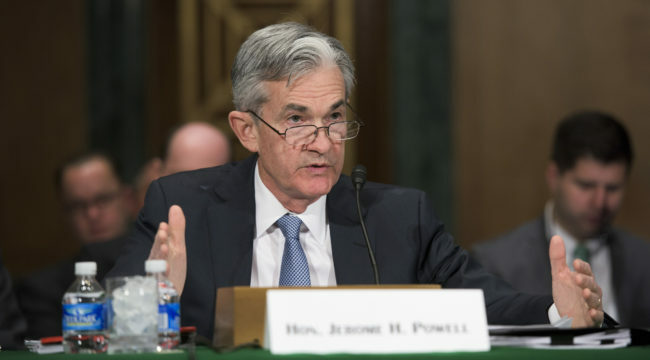 As I stated above, as a Fed governor, Powell has never voted against Janet Yellen on any interest rate policy decision and you shouldn’t expect any immediate changes in monetary policy. But the question is, will Powell eventually abandon the same flawed models like the Phillips curve and embrace more realistic models that mirror the real world? Fed governors such as Lael Brainard are showing less faith in traditional models. For example, in September, she delivered one of the most significant Fed speeches ever. Translating from Fed-speak to plain English, she more or less admitted the Fed has no idea how inflation works. The Fed’s favorite measure of inflation plunged from 1.9% to 1.3% between January and August 2017 even as job creation continued and the unemployment rate fell. September’s numbers, which came out last week, came in at 1.6% — still below the Fed’s 2% goal. Meanwhile, unemployment in the U.S. today is 4.1%, the lowest rate since the early 2000s. Yellen assumes this must result in inflation as scarce labor demands a pay raise and the economy pushes up against the limits of real growth. Yellen also agrees with Friedman that monetary policy works with a lag. In other words, the relationship between tight labor markets and inflation turned out to be the exact opposite of what the Fed believed. If you believe that inflation is coming soon and that policy works with a lag, you better raise interest rates now to keep the inflation from getting out of control. That’s exactly what Yellen and her colleagues have been doing. Again, the question is whether the Fed will abandon these flawed models under Powell, or will it be more of the same? Meanwhile, back in the real world, all signs point not to inflation but to deflation. Despite a recent bump, oil prices are still low, intermediate-term interest rates are falling, labor force participation is falling, demographics favor saving over spending and logistics and supply-chain giants like Wal-Mart and Amazon are relentlessly squashing price increases wherever they appear. Even traditional high-price sectors like college tuition and health care have been cooling off lately. Yellen and a small group of Fed insiders have been keeping up the drumbeat for a December rate hike. Meanwhile, opposition to more rate hikes among Fed officials is growing, including from Neel Kashkari, Lael Brainard and Charles Evans. Practically every investor has heard of Bill Gross. For decades he was the head of PIMCO and ran the world’s largest bond fund. His specialty was U.S. Treasury debt. Gross has issued one of his most stark warnings yet. He says that market risk levels today are higher than any time since just before the 2008 panic. We all know what happened then. Gross says it could happen again, and soon. No one reads the market better than Bill Gross. So, when he issues a warning, investors are wise to pay attention. The stock market is giving a different signal. Stocks are rallying because markets interpret Fed rate hikes as a signal that the economy is getting stronger. Both markets cannot be right. Either stocks or bonds will crash in the weeks or months ahead. Gold is watching and waiting, moving down on deflation fears and then up again on the view that the Fed will have to reverse course once the economy cools down. My models show that bonds, Bill Gross and gold have it right and that stocks are heading for a fall. But as I’ve documented several times, it’s not transitory. It’s structural. The Fed is using obsolete and defective models such as the Phillips Curve and the so-called “wealth effect” to guide policy. None of this is new; I’ve been saying it for years in books, interviews and speeches. What is new is that even the mainstream media is beginning to see things the same way. Fed leaders have been exposed as charlatans, like the Professor in the Wizard of Oz. Will they come to view Powell in the same light? It’s time to load up on Treasury notes, gold and cash and lighten up on stocks. The Fed may be the last to learn about deflation, but when they do, the policy response could be instantaneous and markets could suffer whiplash.